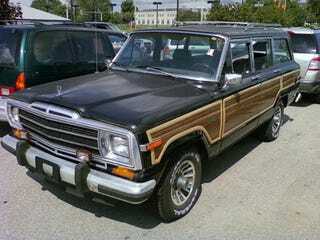 As if the death of a somewhat troublesome Maserati BiTurbo wasn't bad enough, a dealership in Bloomington, Indiana is preparing to execute this supremely reliable 1989 Jeep Wagoneer V6 4x4 with just 67K on the odometer. According to our tipster, this Jeep is in good condition with a clean title, minimal rust, and good tires. A little detail work and it would be a classic cruiser. Alas, we know its fate. Seriously, Save The Clunkers!